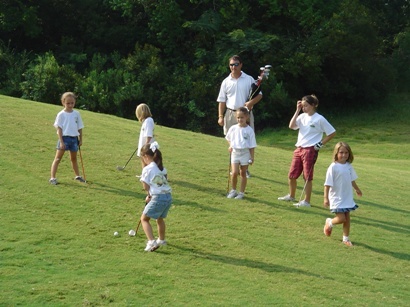 Each year, during the summer, Mallard Cove hosts three golf camps for juniors. Campers must be between the ages of 7 and 12. They are divided into groups of like age and skill level and instruction is lead by the PGA Head Golf Professional. We conduct a skills inventory on day one and days two and three are specific instruction in groups. Day four is Tournament and FUN Day where we have teams compete for prizes. Awards are given out during the Pizza Party. Each camper receives a golf camp tee shirt. Campers do not need to have their own equipment as we can supply them with the proper equipment for the week. We also offer the new PGA Junior Golf League program. We are now participating with over 150+ Leagues across the U.S. and growing! To follow all of the Junior Golf activity in SWLA, go to the Facebook page, 'like it,'Ã‚ÂÂÃ‚ÂÃ‚Â� and follow us. Please share this page and let friends know what is going on in SWLA Junior Golf. The Ball is Rolling! Put your rally caps on and get your friends involved because we are growing fast! 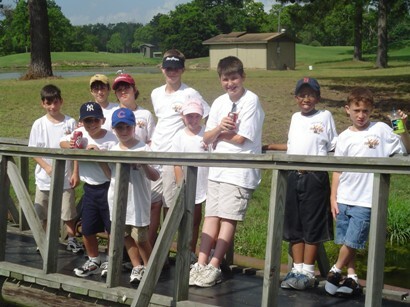 Junior Golf in SWLA is now being managed by a local nonprofit corporation called The SWLA Junior Golf Association, Inc. By being a private organization, we can develop and implement programs much quicker and we can more easily pursue funding sources to make these programs successful and sustainable. This organization has already, in just one full year, begun a 'Golf In Schools' program and a SNAG Golf program that that works through Church Youth Groups and serves the inner-city, under-privileged youth in our community. In addition to the programs listed above with information links, we also provide an 'Elite Team' program for those who choose to pursue high level competition and attain a college scholarship. Mallard Cove Golf Course also offers a KIDS PLAY FREE PROGRAM. This program is only for use on Thursdays and Sundays after 4 PM. Here is how it works. Kids who play free must be ages 6 to 13. They must be accompanied by an adult who pays a special green fee rate. Kids can also get $1.00 OFF range balls. This is a FREE Green Fee for kids program only. Cart fees are not part of the program.